← Sharp-eyed little girl with a long reach. For this little girl, Grace is both the name and the descriptive adjective. 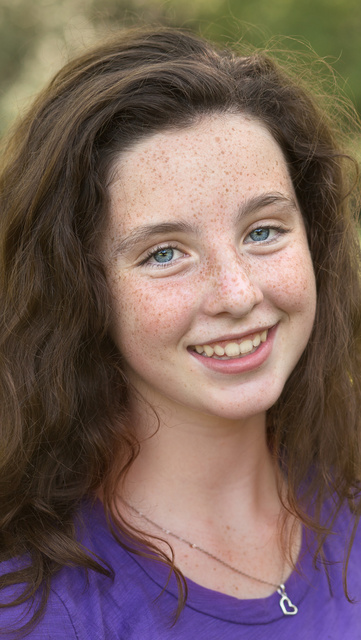 At 13, she evidences adult social graces and capabilities. Her parents can be quite proud of her. Toys: GSG 1911-22 with AAC Pilot suppressor, Savage MKII-SR with Primary Arms 4-16x scope and Gemtech Alpine sound suppressor. Hydraulically dampened Vepr .308 with Aimpoint and X5L light/laser. 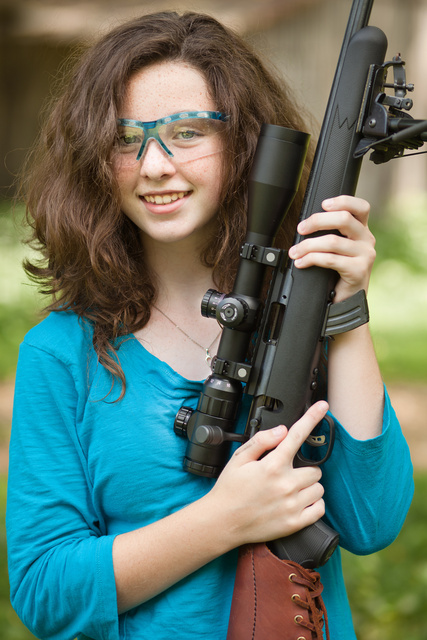 This entry was posted in interesting people, pistol, rifle, sound suppressor, training, weapon and tagged 22LR, 308, blue, bolt action, girl, semi-auto, teen. Bookmark the permalink. 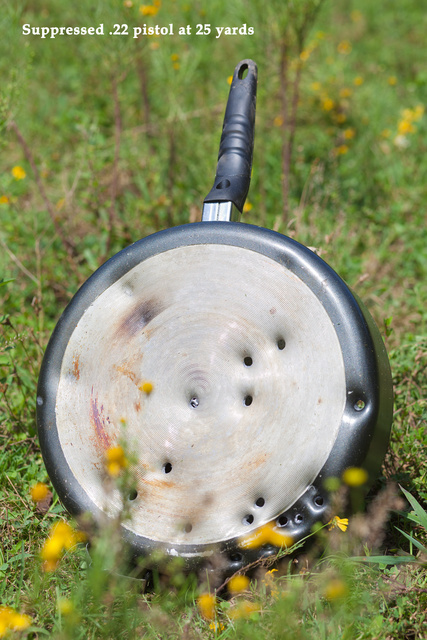 BUT what we *really* want to know…is what model skillet is it? How is it hydraulically dampened? I’m curious. 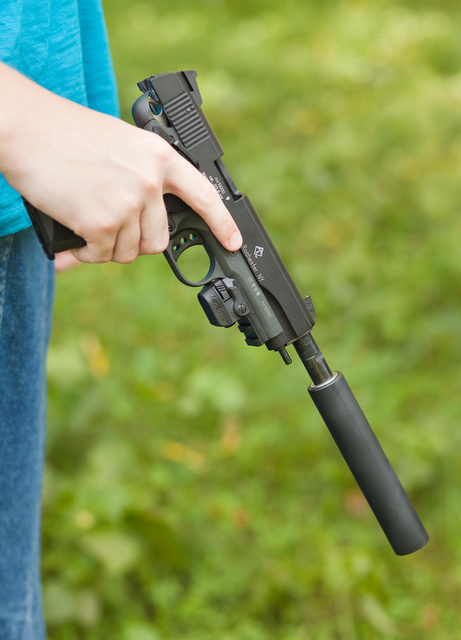 Internal recoil reduction system? My kids, boy 5 and girl 9, absolutely love to see your photos of kids shooting. IS that a modern day Merida from Brave? 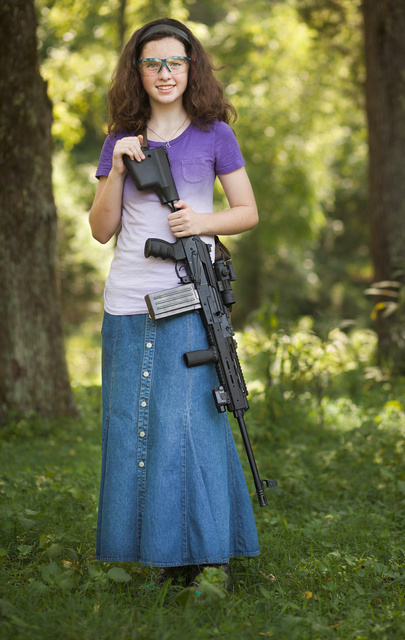 The old witch came back through the door from the future…and she brought a rifle. I had no idea that subsonic 22 would punch through metal (aluminum alloy?) like that at 75 yards. Good shooting Grace! 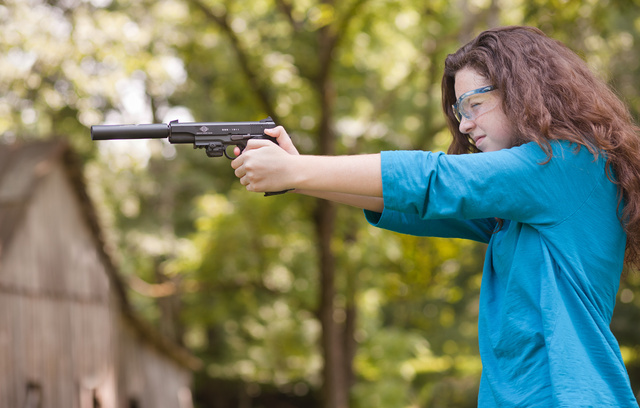 In her two-handed pistol hold, I hope she didn’t touch that shot off. She appears to have the web of her strong-hand thumb behind the slide. 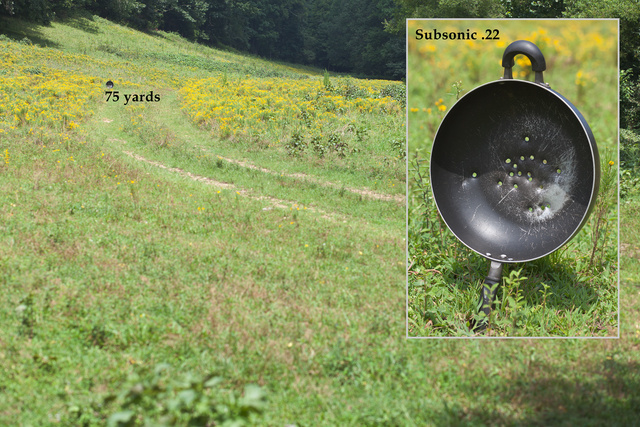 Could be a parallax thing with your photo, but a lot of newbie 22 pistol shooters and the occasional experienced shooter as well have this issue. She doesn’t. The pistol has a full beavertail and her hand is well left of it. Grace probably isn’t ready yet, but down where I live there’s a subset of high school students who take prom dates to Bass Pro for supper. There is hope for the next generation. Nice freckles. 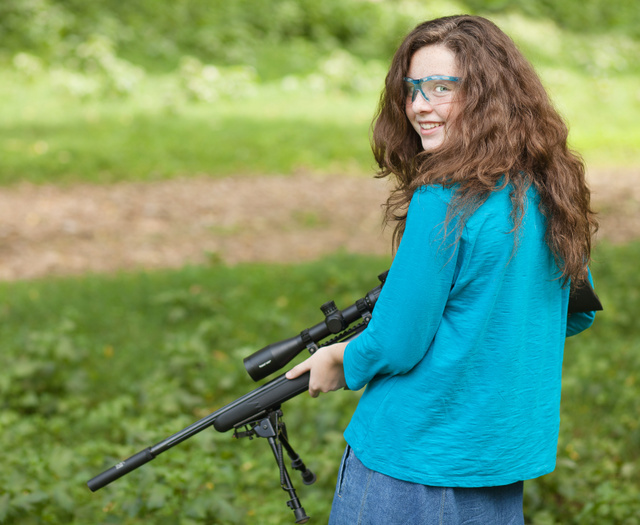 And she shoots a lot better than I do (though I do have a much shorter sight radius, which may account for about 10% of the difference). BTW, the link you gave for the GSG gets me to a page that says “save successful” but nothing interesting. smiling freckle faced kid that can shoot. what’s not to like? that is awesome. and shootin like that her parents are I expect…understandably proud.